We've been mightily impressed by Lincoln's rebirth, with the Ford luxury brand's new stream of SUVs knocking our socks off with each new introduction. 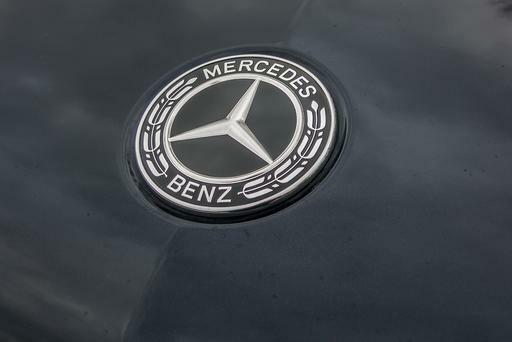 First came the latest version of the Navigator, with an interior that stacks up with European luxury brands for opulence. Then the Aviator showed up, bringing that opulence to the next size down but adding an impressive dose of technology, too. The MKX was reborn as the Nautilus. 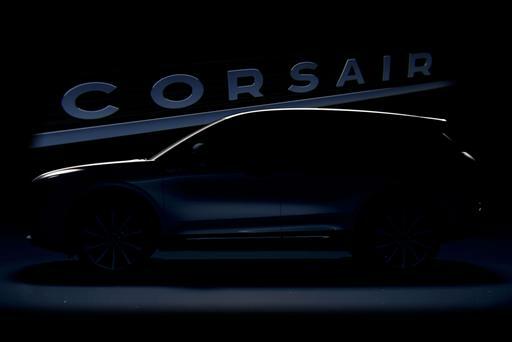 Now, the MKC has been reimagined as the compact 2020 Lincoln Corsair, debuting at the 2019 New York International Auto Show — and it looks to be yet another hit for a brand that has followed a simple, age-old mantra for creating successful vehicles: No matter how damaged the brand may be, make a good product and the buyers will come. The styling is pure Aviator despite the proportions not looking quite the same due to the Corsair's front-wheel-drive platform. 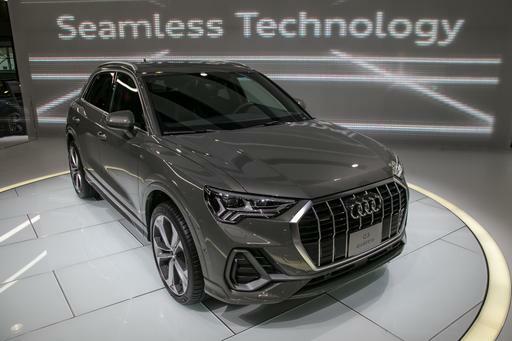 But it's still quite identifiable as one of the new crop of Lincoln crossovers, and looks decidedly upmarket and appealing. Know what it doesn't look like? The 2020 Ford Escape on which it's based — and that's extraordinary given Lincoln's not-too-distant history in which the company would simply change a few panels and badges and call it a separate model. The public was never fooled. Now, they don't have to be — the Corsair is a sharp-looking ride all on its own. Inside, what most immediately strikes you is just how flat and vertical the dashboard is. Lincoln's press materials for the vehicle keep emphasizing how horizontal the dash is thanks to the spar that houses the climate-control vents running the width of the cabin, but just behind that is a remarkably flat cliff face of a dash. What that design successfully does is open up the cabin to make it more airy and spacious environment. Excellent materials quality and design features like the piano-key shifter buttons add to the list of family traits shared with more expensive Lincoln products. And while Lincoln has decided not to offer a super-luxe Black Label edition of the Corsair (likely due to price sensitivity and wanting to maintain some exclusivity for the other concierge benefits that come with splurging on that trim level), a number of premium touches like the 24-way Perfect Position seats and the mind-blowing 14-speaker Revel audio system can still be had. 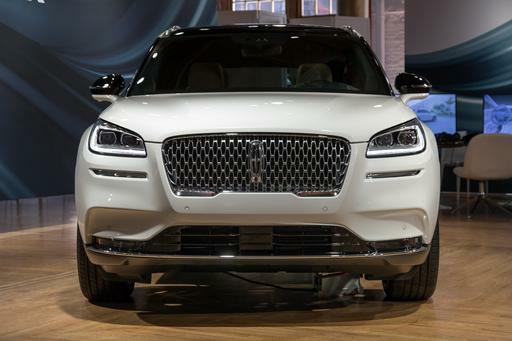 2020 Lincoln Aviator: Ready for Your First-Class Upgrade? Can Revamped 2020 Ford Escape Take on the Compact SUV Competition? Like the Escape, the packaging of the new Corsair is excellent. There's plenty of room for two up front and just as much comfort available in the second row, as well. The seats are a little small — a common Ford and Lincoln complaint of ours — but legroom in front or back is plentiful, as is headroom. Visibility out is fine, with no notable blind spots created by bodywork the way you can find in some more dramatically styled competitors. We won't know if the unique suspension and additional sound-insulation improvements over the Escape have crafted a differentiated driving experience until we get behind the wheel, but all indications point to that likely being the case. Stay tuned for when we're able to tell you more about how the new Corsair feels from behind the wheel, likely in the summer.